Alison M. Day | Littler Mendelson P.C. 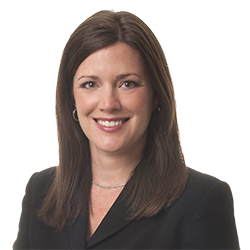 In addition to her litigation practice, Alison has extensive experience handling administrative charges before the Equal Employment Opportunity Commission, the Ohio Civil Rights Commission, the Department of Labor, and the National Labor Relations Board. She also provides day-to-day counseling and training on a variety of workplace issues to her clients, and she frequently delivers presentations on employment topics.